For his most recent solo CD, Gary Willis returned to his jazz roots with "Retro" (Feb. 2013). His new trio features the incredible Gergo Borlai on drums and the acclaimed Catalan pianist Albert Bover on keyboards. A mix of vintage Jazz with the energetic twist that Willis always brings as well as a melodic side that has been seen in smaller doses throughout his career. Through the years Willis has played with musicians like Wayne Shorter, Allan Holdsworth, Hubert Laws, Simon Phillips, Joe Diorio, Robben Ford, and Pil Upchurch, as well as being the co-leader of Tribal Tech. Since co-leading Tribal Tech with guitarist Scott Henderson, the band has produced ten critically acclaimed CD's. 2012 saw the release of "X" by the supergroup Tribal Tech that comes to light after a 12 year hiatus. "X" documents the latest trip of this prolific musical jazz fusion group, known for its spirited arrangements and interactive improvisation. Getting the kind of synergies that materialize in a masterpiece like "X" is only possible when one has a rich musical history forged by virtuoso musicians. Another recent project, Triphasic, came to light in 2009 with the publication of "Shaman", their first album. The eclectic-electric trio features Llibert Fortuny on tenor sax, electronics and vocal effects as well as David Gomez on drums and electronic percussion. Willis's latest explorations have been focused on bringing a synchronized visual experience to the trio's live performances. This new development finds Willis occupying the VJ controls at the same time navigating the electronic sequences that the band improvises to. In 2007, Gary Willis released "Actual Fiction" and the avant-jam-trio "Slaughterhouse 3". Early reviews of "Actual Fiction" describe that it's "everything you've ever liked about his work with Tribal Tech and leaps forward a few light years." while being "wide open from the very first note and will test your neck vertebrae with the powerful rhythms all through this recording." Allaboutjazz.com describes "Slaughterhouse 3窶ｳ as "Undoubtedly funky and at times lyrical, the music on Slaughterhouse 3 is also nicely edgy, exploring some dark and heavy musical avenues. Willis, Covington and Fortuny all excel on a fascinating album which will hopefully be only the first of further collaborations together." As of 2004, Willis became a Barcelona, Spain resident and spends part of his time teaching composition, arranging, improvisation and bass at Barcelona's prestigious Escola Superior de Musica de Catalunya conservatory. The Texas native studied arranging and improvisation as part of the legendary jazz program at North Texas State University. It was there that he switched to bass after years of guitar & bass study. After moving to Los Angeles in '82 he became a course leader at Musicians Institute in Hollywood and also taught at California Institute of the Arts in Valencia, California. In 1993, Warner publications released "Bass Lessons with the Greats", which includes a chapter on Willis's unique approach to improvisation. His hour-long educational video entitled "Progressive Bassics" features discussion of his technical and fingerboard harmony concepts. In 1998 [Hal Leonard Publishing Co] published his "Fingerboard Harmony for Bass". Adding to the Willis publishing catalog, Hal Leonard Publishing Co offers "The Gary Willis Collection". The book features 11 transcriptions of original Willis tunes, including the contemporary classic The "Necessary Blonde", which is one of two compositions also included in Sher Music's "The New Real Book-Volume Two". Two other compositions from his solo recordings are also featured in the " All Jazz Real Book", "It's Only Music" and "The Everlasting Night" also from Sher Music. In Jan. '99 Hal Leonard released "Ultimate Ear Training for Guitar and Bass". Bass Player calls it an "excellent method to help you develop your ears and connect them-through your hands-to your instrument." In demand as an educator, he's conducted clinics and master classes in over 21 different countries. The latest Willis book from Hal Leonard, "101 Tips for Bass" , was released in 2002 and provides valuable how-to insight that bassists of all styles and levels can benefit from. 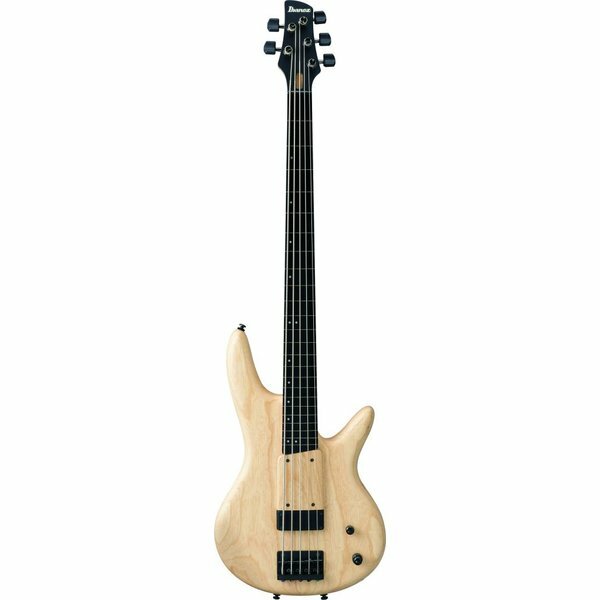 In 1999, Ibanez Guitars introduced the Gary Willis Signature Bass. In development for almost 2 years, the Willis Bass offers bassists the chance to purchase the bass built to Willis's exacting specifications, and an opportunity to get that "Willis sound." The bass has evolved over the years with subtle improvements, but the latest, most striking change is that now the bass is hand-crafted from start to finish and in Willis's words: "Instead of trying to make this bass more affordable, Ibanez has decided to make it perfect." The detachable finger ramp, designed by Gary Willis, encourages players to not "dig in too deep" and allows a more consistent attack with quick recovery time. Swamp Ash body provides an exceptionally open sound. Curved Bartolini® pickup provides separate coils for precise string balance.